You can help build our community’s power to make change! 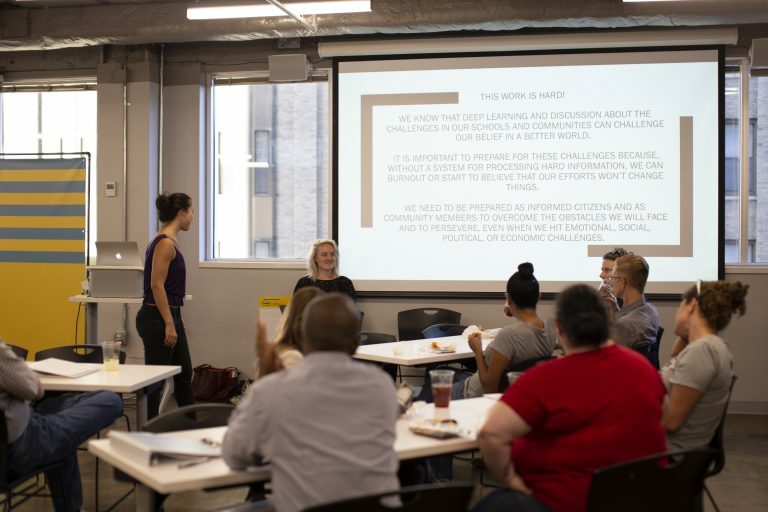 UnifiEd is here to support you to affect the change you want to see in public education, and our trainings and workshops give you the skills and tools to organize within your network and neighborhood. The series is named “Building Power for Change” because you’ll gain leadership skills to help our community hold elected officials accountable to ensure a brilliant future for every student. Through these workshops, you’ll have the opportunity to build relationships with a diverse group of community members and unite toward a shared vision for excellence in public education. Food is provided at every session. Free childcare is available at every session held at the YMCA and can be arranged at any other location with a request in advance (email us at info@unifi-ed.org). We typically have several of these workshops each year, so stay tuned!